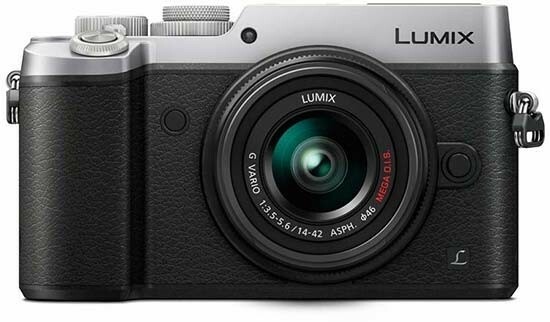 The new rangefinder-styled Panasonic Lumix DMC-GX8 compact system camera gets a lot of things absolutely right, offering intuitive handling, lots of customisation options, solid weather-proofed build quality, and an excellent OLED viewfinder and rear screen, but some of the headline-grabbing features don't live up their full potential, while both the camera and its price have become somewhat inflated. The GX8's new 20 megapixel sensor will garner a lot of headlines, but in reality it only offers approximately 15% more resolution than the 16-megapixel sensor that's used by the vast majority of Micro Four Thirds cameras, which is hardly earth-shattering. Thankfully the megapixel increase hasn't had a negative impact on overall image quality. Images shot at ISO 125-1600 are clean, with a little noise appearing at 3200 and more at the still very usable setting of 6400. ISO 12800 is best reserved for resizing and smaller prints, while the top speed of 25600 is only for emergency use, Overall the GX8 continues to offer excellent image quality, but the jump to 20 megapixels shouldn't be the reason that you buy this camera over a 16-megapixel competitor. Similarly, the combination of a Lens Optical Image Stabiliser and a Body Image Stabiliser in the world's first Dual I.S system isn't quite as effective as it sounds. Sure, it moves things on for the Panasonic system in comparison to the rest of their current range, but the company and their new system is still very much playing catch-up with Olympus' market-leading 5-axis stabilisation. In our view, the new 20 megapixel sensor and dual image stabilisation system prove to be less important than the much-improved OLED viewfinder and free-angle OLED rear screen, which along with the new exposure compensation dial, second control dial and an even larger number of customisable controls make the DMC-GX8 one of the best-handling compact system cameras currently on the market. There are a couple of trade-offs, notably the sacrifice of the GX7's pop-up flash and the larger size of the GX8, but overall this is the most intuitive and configurable Lumix CSC that we've reviewed. In summary, the Lumix DMC-GX8 is another great compact system camera from Panasonic, but the new sensor and dual image stabilisation system aren't quite as revolutionary as advertised, and the larger design and crucially higher price-point also detract from what is otherwise an excellent, but not exceptional, camera.